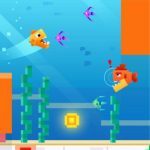 Ready to play Platypus Evolution? 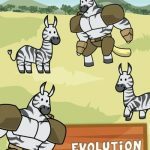 You guessed that right – this is another one of those “evolution” games from Tapps, and we’re giving you some information on this game just a couple days after we told you about Cow Evolution and Goat Evolution. 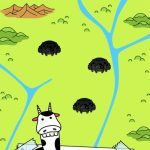 Just like you would in the cow and goat games, this game is about merging two animals together and evolving them, as they grow from tiny critters to adults, then to supersized and weird versions of the original animal. And just how weird are these creatures? We’re talking about platypuses with multiple heads, and even multiple duckbills. It’s time to play God once again, and with that in mind, we’ve come up with a few useful Platypus Evolution cheats, hints and tricks for you to help you make the most of those mutations. If you want to earn money in Platypus Evolution even when you’re not playing the game, then we seriously recommend purchasing the tractor. This will allow you to keep the money rolling in, not to mention the boxes, which you’ll need as you keep merging platypuses and unlocking new mutations. Platypus Evolution is one of those many titles that still allows players to make use of the time lapse cheat. This would allow you to collect your tractor earnings without having to wait several hours. 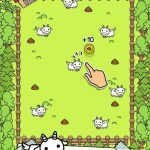 But just like in the other evolution games from Tapps, you’ll be penalized if you set the time forward or back to normal right away – you wouldn’t be able to use the tractor for one full day. As such, you’ll want to be patient if you don’t want your tractor privileges revoked. Once the planetary view is unlocked, the alien will ask you to give him several platypuses. Do as he says and you’ll be rewarded with rubies, which would be your form of currency while in Mars. While you’re on the Red Planet, you can unlock even more types of platypus, though earning rubies through these animals will take much longer than it would for you to earn coins through platypuses on earth. Simply go to the highest unlocked view and repeatedly tap so that your platypus keeps on pooping. Platy-poop, if you can call it that, will earn you coins, so you’ll want to have the highly evolved platypuses do the pooping to earn you more money. There is one way to get yourself a free platypus that’s also available on the other Evolution games from Tapps. Watching an advertisement video would allow you to get a platypus from the store without paying, though this won’t always be the case. And if you share Platypus Evolution on Facebook or Twitter, you get free diamonds, which are the game’s premium currency.